As soon as we passed Oldoniyo Lengai, the volcanic mountain in Loliondo, east of Serengeti National Park from my Tanganyika Flying Company scheduled flight to Kogatende airstrip in Northern Serengeti, my heart skipped a beat. 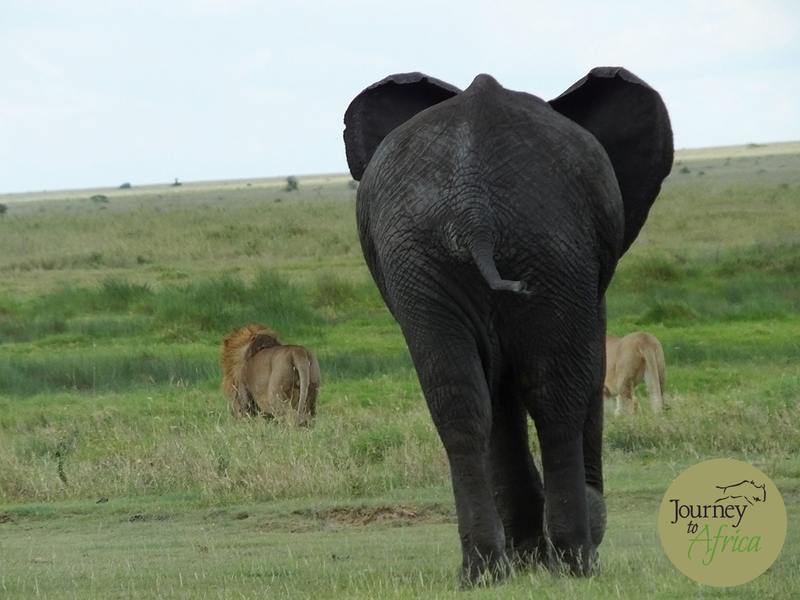 Serengeti, here I come … again and again. Why Serengeti still takes my breath away? My current top eight reasons why I could go back to Serengeti in a heartbeat. The Great Wildebeest and Zebra Migration. Oh yes! Being surrounded by hundreds and thousands of animals is unexplainable unless you have been there to witness it first hand. 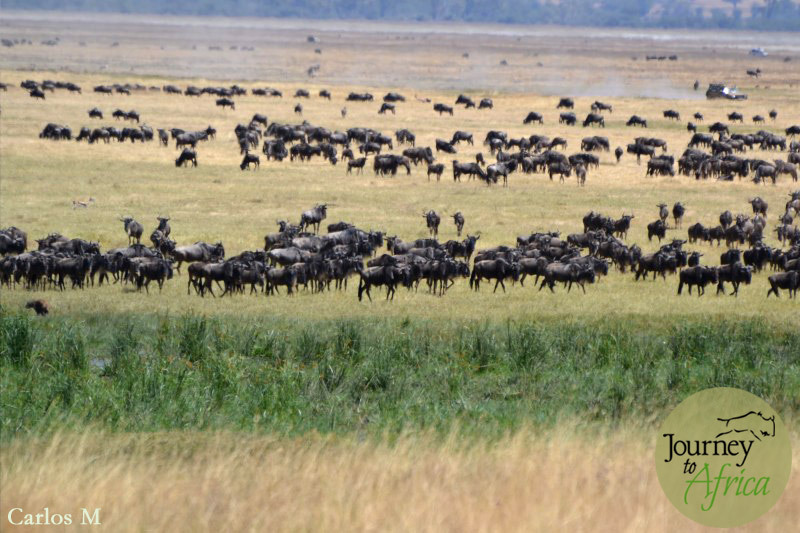 When I was flying to Serengeti in early June, I was expecting to see the migration in Central Serengeti. Well to my surprise, and lucky me, I got to see the arrival of the herd in Northern Serengeti earlier then normal from Western Serengeti. There is no exact timetable on these matters. Luckily our guide said some of the Wildebeest and Zebra groups where still in Western Serengeti as we had clients booked in that region to experience this phenomena. Walking in single file. 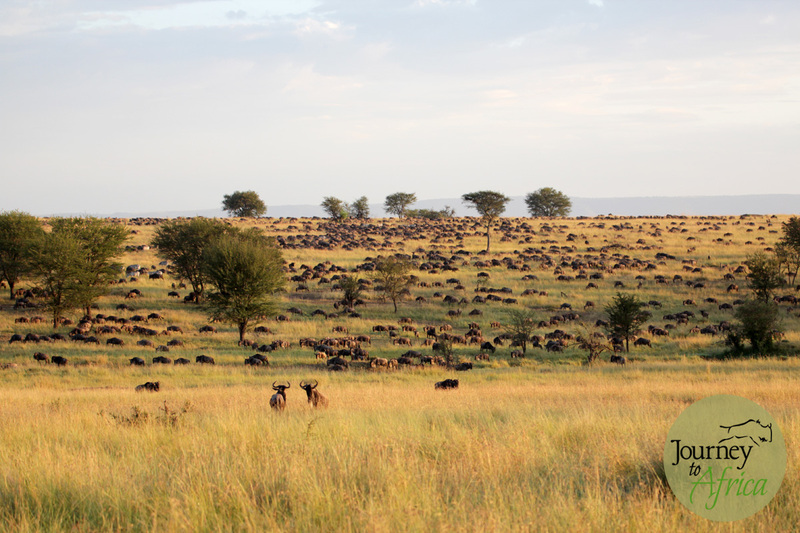 The herds are coming into Northern Serengeti from Western Serengeti. Oh the excitement! The longer we sat watching them march in, the larger the herds grew. What an experience! The morning sun spraying gold over Serengeti. Here is a small herd having just crossed the river. Oh these beautiful animals. 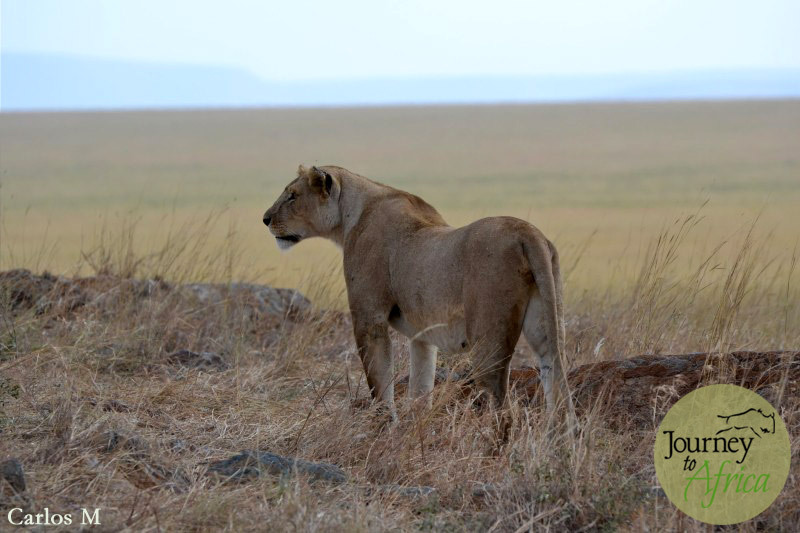 Serengeti is home to a large concentrations of lions, cheetahs and leopards. In Northern Serengeti, I was lucky to see group of about 20+ lions ranging from couple of month olds to their mamas having a go at a freshly hunted wildebeest. ‘Food’ aka the migration was coming in. What an experience! Reuben, my Olakira Camp guide and I did not want to leave. He had promised me a sundowner near the table hills but we opted to stay back. How can you blame me. Look at those eyes. 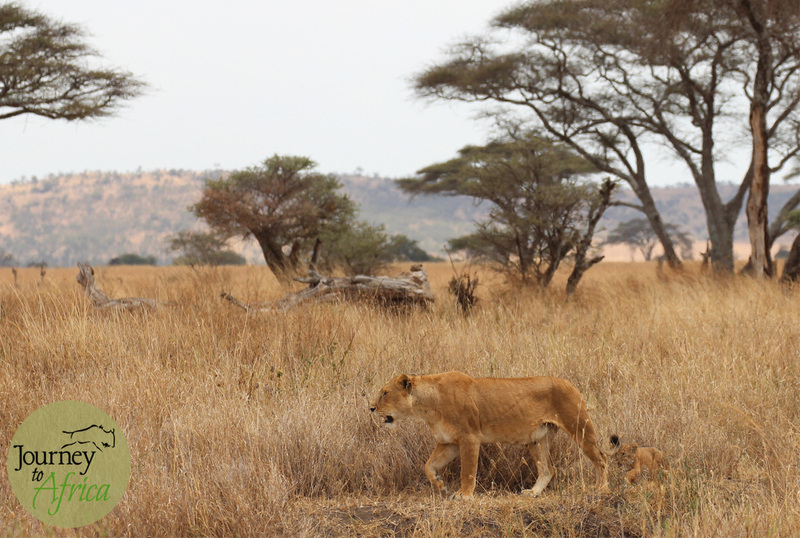 We spent a while enjoying the interactions of this beautiful family in the Northern Serengeti valley. 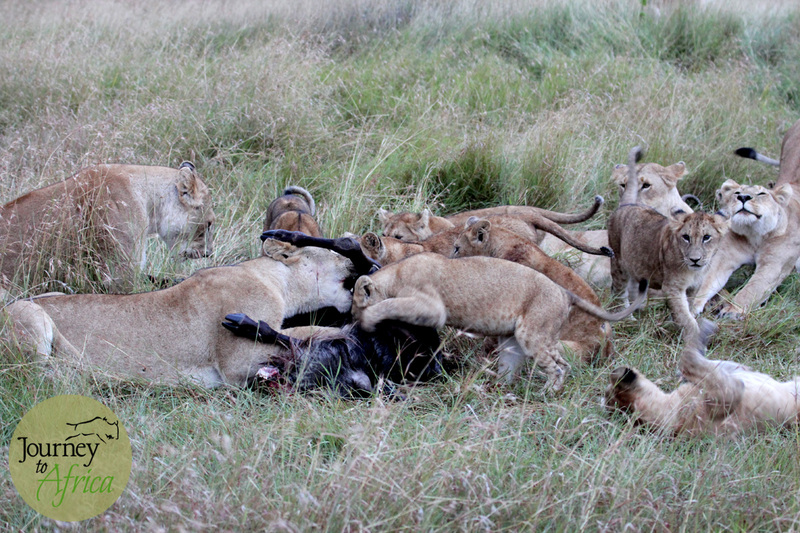 In the valley, about 20+ lion family enjoying a recent wildebeest kill. Some cubs were just a few months old. What a splendid sighting! Some having a go at dinner while others needed a stretch or rub after some grub. Central Serengeti is known as cat central. And it did not disappoint. 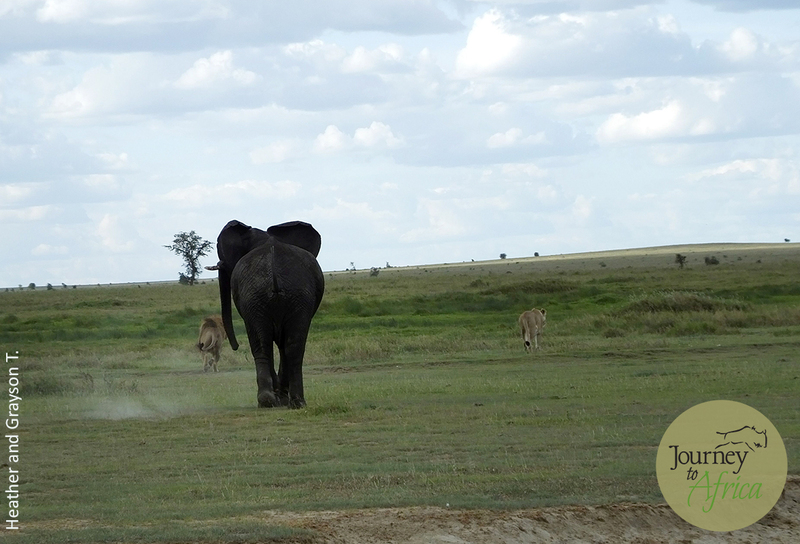 We got to enjoy a few sighting away from the crowds that Central Serengeti attracts. Trust your guide and head the other direction. Look at that wee one following her mama through the tall grass. 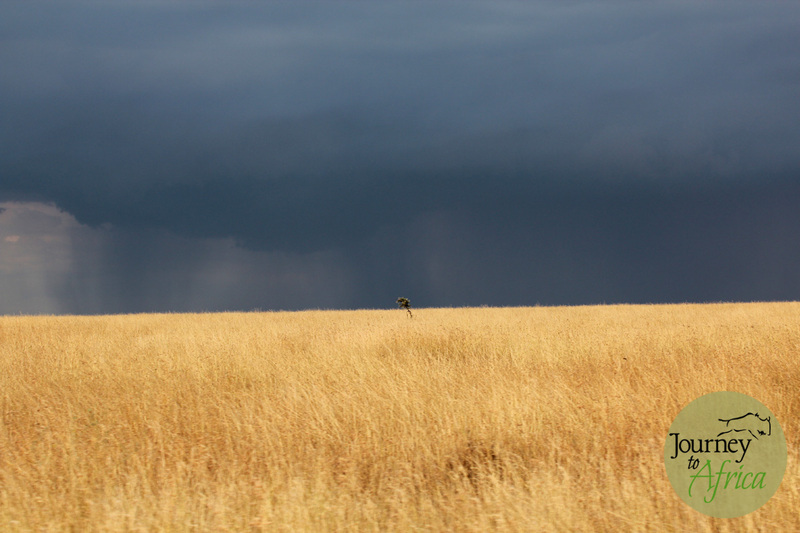 Rains were about to come when in Central Serengeti and my guide Makubi and I were trying to get to Dunia Camp. Well, this stunning leopard appeared and getting wet was an understandable option. We got to hang out for a bit and stare. 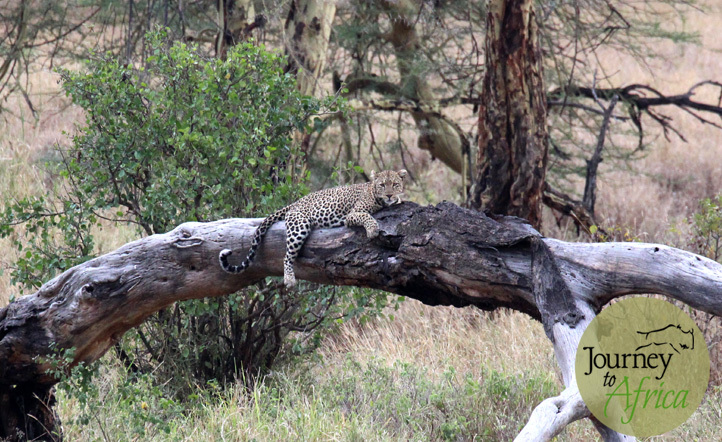 A stunning leopard spotted resting on a branch. I love elephants! They are just beautiful and so precious and threatened. In Northern Serengeti, I spotted a few but at a distance. South Central Serengeti, very close to Moru Kopjes, I was elated. Large herds were right next to the road. 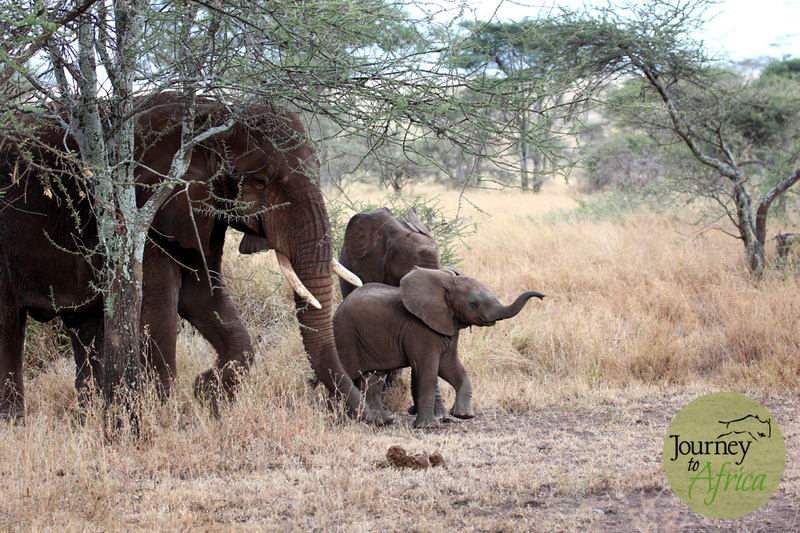 Elephant mama and babies – lots of them. Please stay safe! I am coming back to see you grow. Elephant mama warning us. We hear you mama. We will not harm you and your babies. Little one marching on. Look at that little trunk. On this Safari, thanks to Makubi and my private Serengeti walking guide Richard, I got to know more about these beautiful yet polygamous animals. 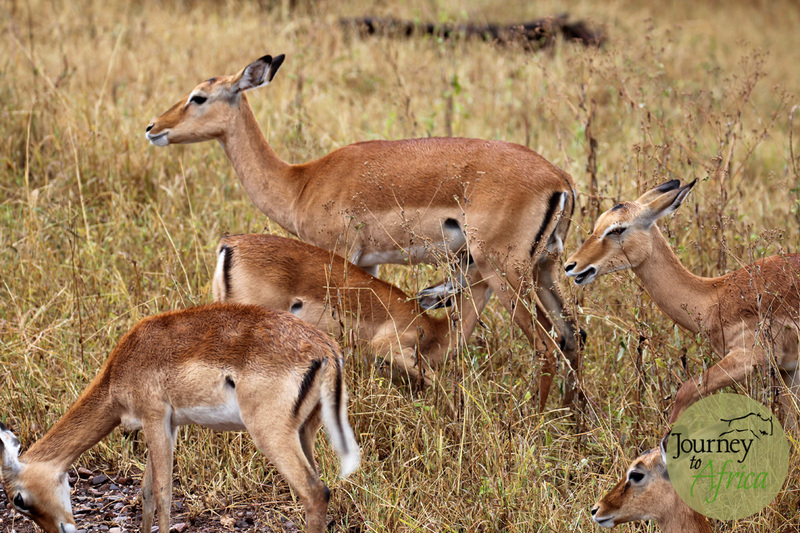 Did you know a male impala has a harem of female impalas? Yup, one male can have up to 20 ladies at his back and call. Then there are the bachelor herds who are always ready to spring into action should a window open. As per Makubi, it is similar to the Maasai and Kuro tribe members who live on the boundaries of Serengeti. Ummmh! 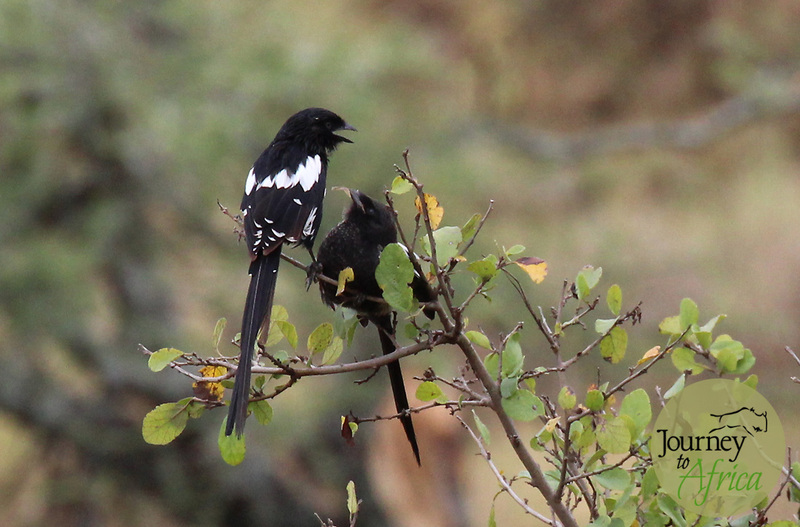 A female group with babies. Privacy please! Here is a male impala getting ready to mount on the female. The mating ritual lasted for about 20 minutes before she would let him on. My friend and elite guide Paul Oliver is a birder. I know many birders. He has been trying to get me into birding. So this time, I chose to look up and was so impressed with the many colors that were presented to me. Lovely magpies shreks, common but colorful lilac breasted roller and egyptian geese. 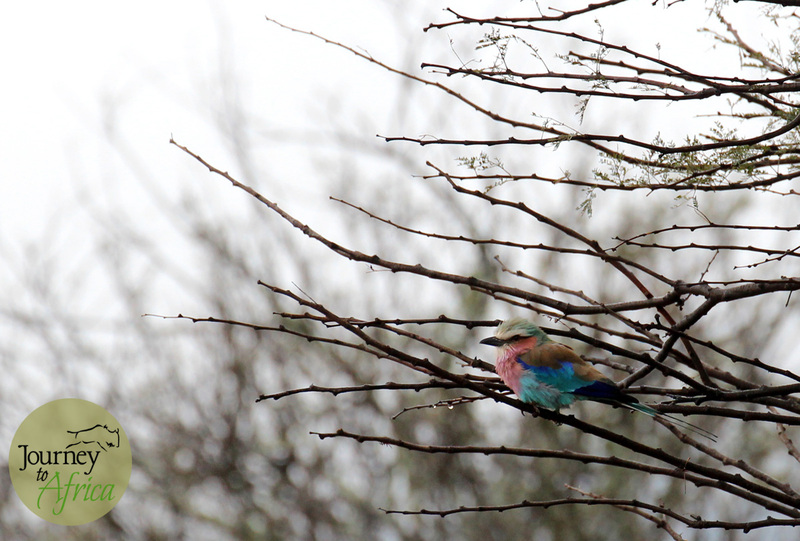 I will have to work on honing my birding skill on my next Safari. I am hooked. Magpie shrek. Mama bird with the white feather just handed over a worm to the baby Magpie. It was a fun exchange to witness. Serengeti has so much to offer. My time in Northern Serengeti and Central Serengeti gave me a glimpse of hills, valleys, rivers, endless plains, long grass, short grass, stunning kopjes, bushy terrain, woodlands and more. When game driving or heading back to your camp, you can stare at the landscape and not tire of what you have in front of you. The sunrise that starts to peek behind the acacia tree and the sunset that makes for the magic golden hour are pure bliss. Serenity in Serengeti. 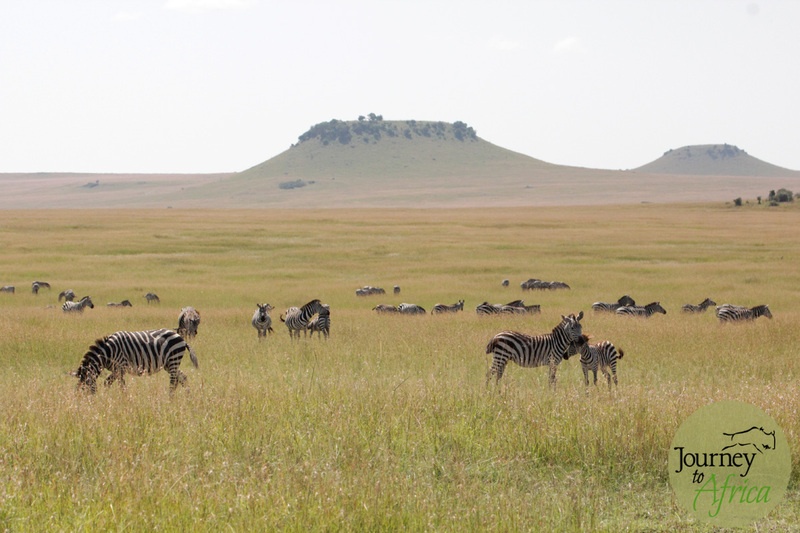 The table hill of Northern Serengeti. So many other hill dotted in the North. Great lodges here to unwind end of the day. At the end of the day, it feels so good having a comfortable bucket shower [common in most tented camps] and then heading to the main lounge and dining area. Usually the first stop is the campfire [unless is rains like it did for me at Dunia Camp] where you get to relax with your drink and get to know other guests. This is when the stories start. Who got to see what, were and do you have pictures to share? You get to sharing things like where are you from, why Tanzania, where are you going next, etc. 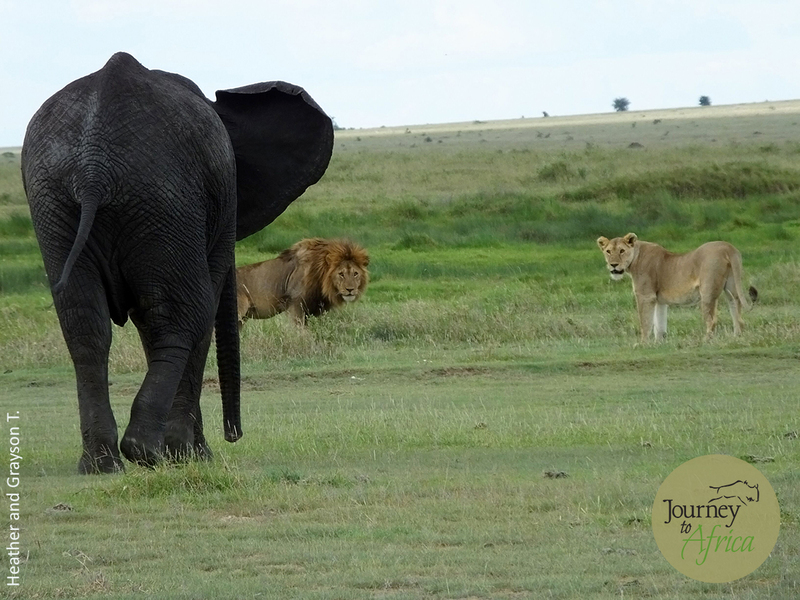 I usually get the envious, how many time have you been on Safari?. Plenty but many more to come. 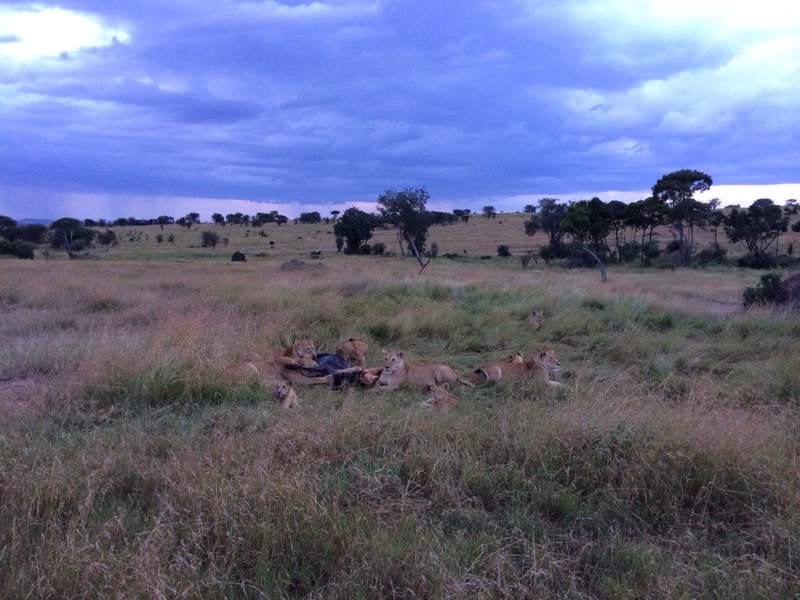 Just a good way to end a day on Safari. Oh, and the food is delicious as well. 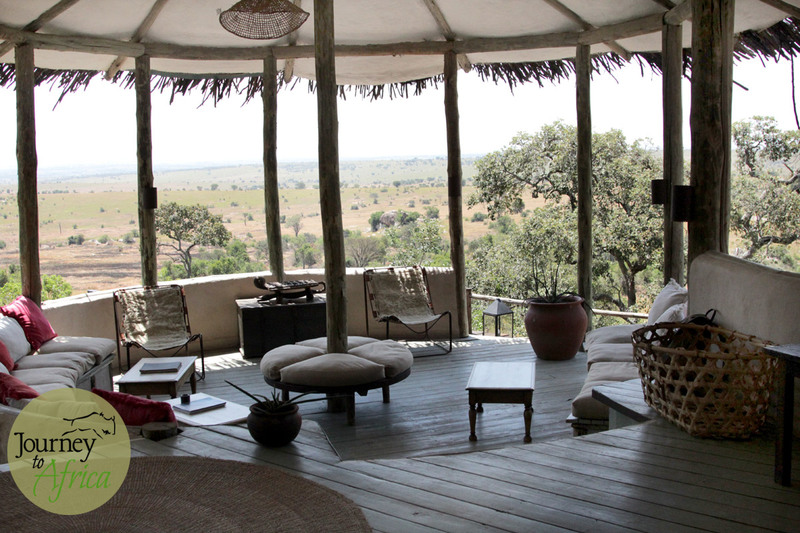 The stunning view of Serengeti from Lamai Serengeti. What a thrilling experience this was for me. No vehicles, seeing animals on foot, adrenaline pumping moments and you being able to hear your breath as you try to be still when a buffalo is 30 ft away from you. I would jump at a chance to be out there again. I ended my day sitting with a cold Kilimanjaro beer on a kopje, watching one of the most memorable sunsets in Serengeti. Golden Hour! 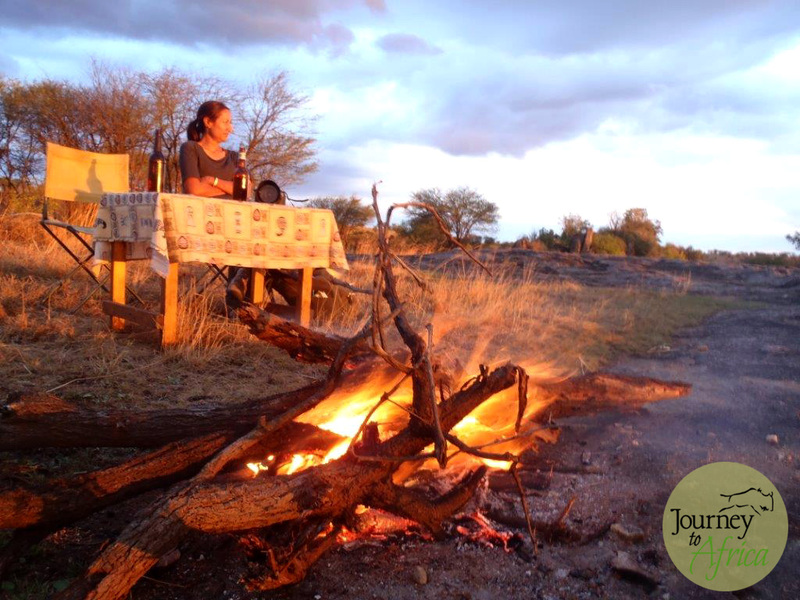 Roaring fire, cold beer, stunning sunset while sitting on top of a kopje in Serengeti. Happiness. Serengeti never fails to take your breath away. An adventure awaits all day, any time, all year-round. Karibu [welcome] Serengeti! 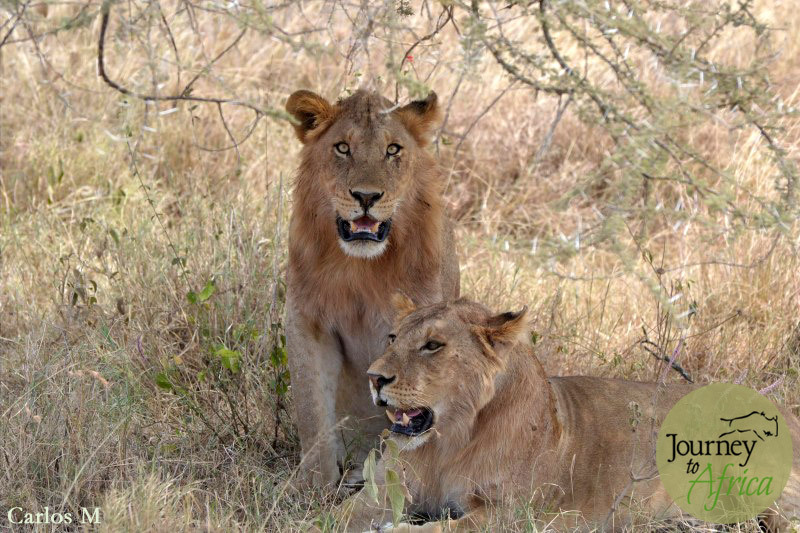 When you are sitting in your vehicle watching a mighty lion or lioness, you can feel your senses heighten. Their powerful stare towards you can get your heart racing. Their roar letting you know, we are kings [or queens] of the African savannah. And then you see a young one tagging behind the lion and your feeling changes to warmth. The next generation is on the move, learning, dependant on its mother or other females for survival, and oh so cute. Let us keep our lions safe! Come on Safari so you can be part of their existence. Their conservation. 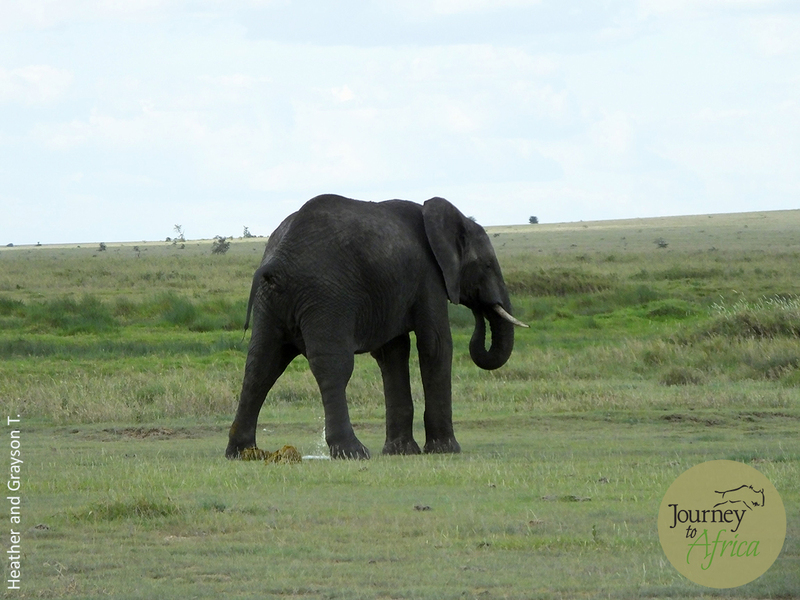 Journey To Africa client Carlos M wrote this lovely blog post. He loves cats! 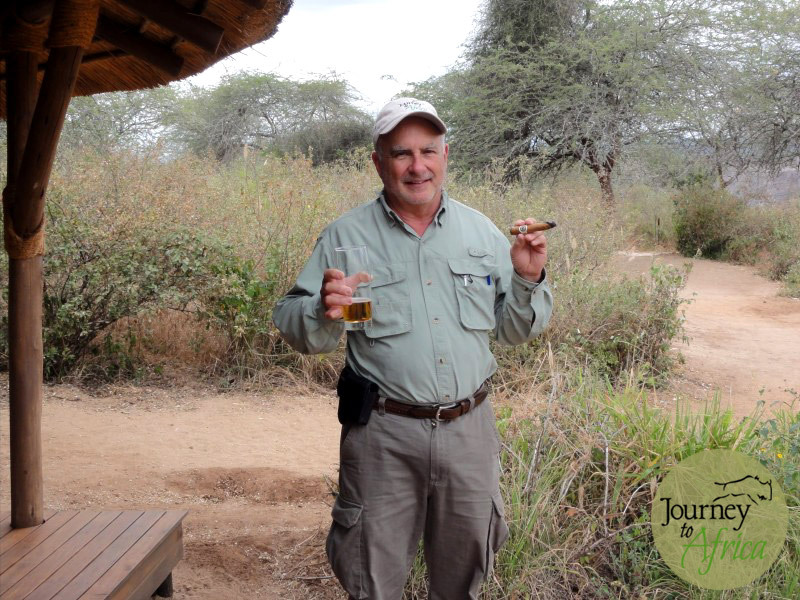 When he and I first started planning his first Safari with his son Jeff to Tanzania in 2011, he told me he has watched every NatGeo show and going on Safari is a dream. As soon as he came back, he told me he is hooked. He took 3 of his friends for his second Safari in 2013 and this time we added Kenya’s Masai Mara. Asante Carlos for this post. 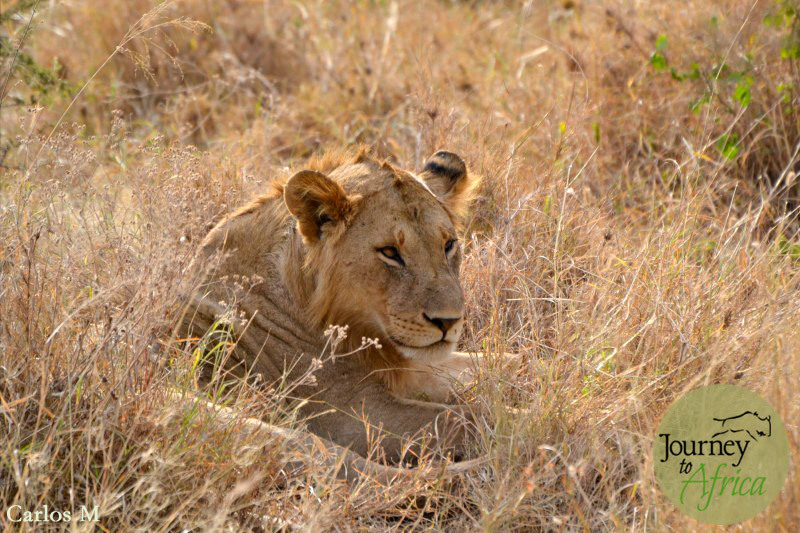 While on the walking safari at Tarangire, about ½ a mile from camp, and about 15 yards in front of us, a young male lion raises his head out of the tall grass, looks at us and runs away. It was so unexpected!!! Rhinoceros are getting increasingly hard to find. Beside a dwindling number, they are very shy animals. My son and I were very fortunate to see a mother and calf within about 40 yards. We had seen rhinos in the distance, but watching them this close was special. A few weeks before, one had been poached. 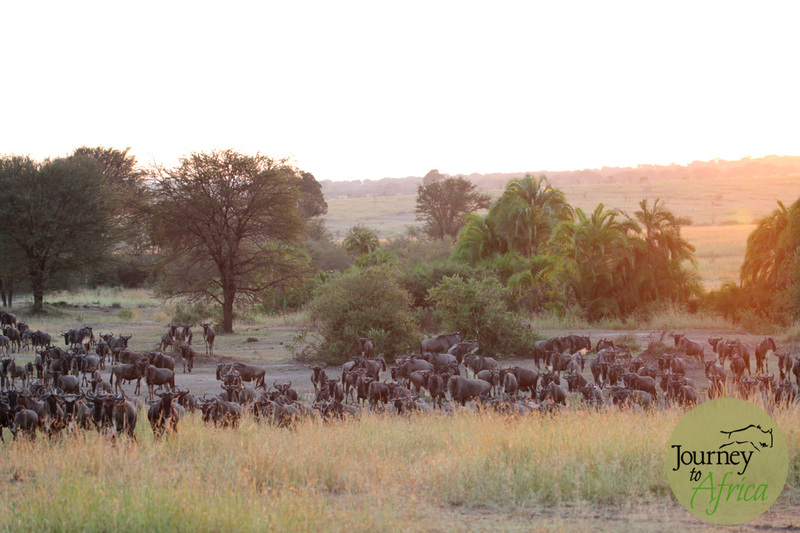 While staying at Olakira in the northern Serengeti, we saw 4 or 5 wildebeest Mara River crossings. 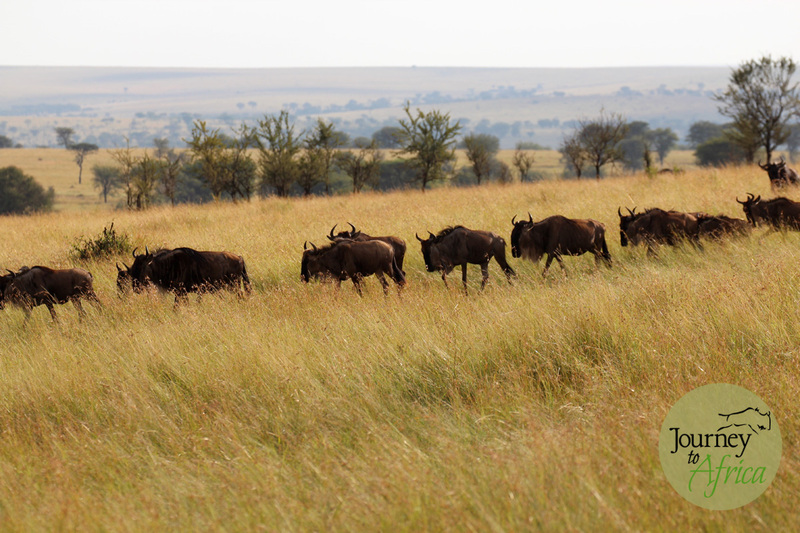 There were wildebeest everywhere, running in a single file in every direction. We saved the best crossing for last. On the last game drive before heading for the air strip, we saw a great crossing. Our vehicle was right in the middle of the herd as we inched our way along. They were grunting (I can still hear them) and kicking up dust. They got to the river and stopped. They left and returned several times. By this time we had left the herd and positioned ourselves at a high point to see the crossing. All of a sudden, a lone zebra starts across. When it got to the other side, it was pandemonium. The crossing started in masses. We watched for about 40 minutes and headed for the airstrip. WOW!! What a way to end the trip. Late one afternoon, while in the Central Serengeti, a female leopard went on her evening hunt. We were able to watch her for about 15-20 minutes. She came within 10 feet of our vehicle. We found out that night in camp from a fellow guest that she had 2 cubs. They actually stayed near her den for 6 hours earlier that day hoping to see and photograph the cubs, and they did. 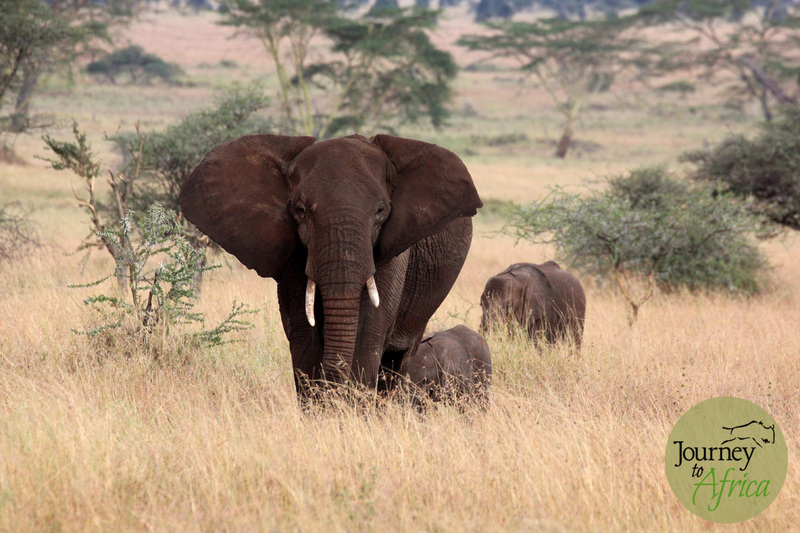 Tarangire National Park is loaded with elephants. 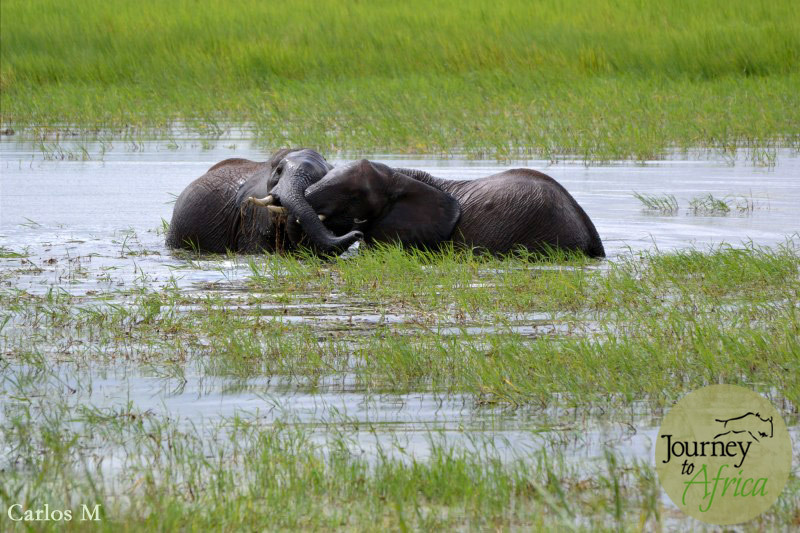 One of my favorite memories has to be watching 3 young elephants playing in the swamp. You could tell they were having a great time. The herd, consisting of several cows and babies was nearby. It was a beautiful sight. That same day, a lone bull in musk started chasing our vehicle. The guide said he probably wanted to mate with the Land Rover. 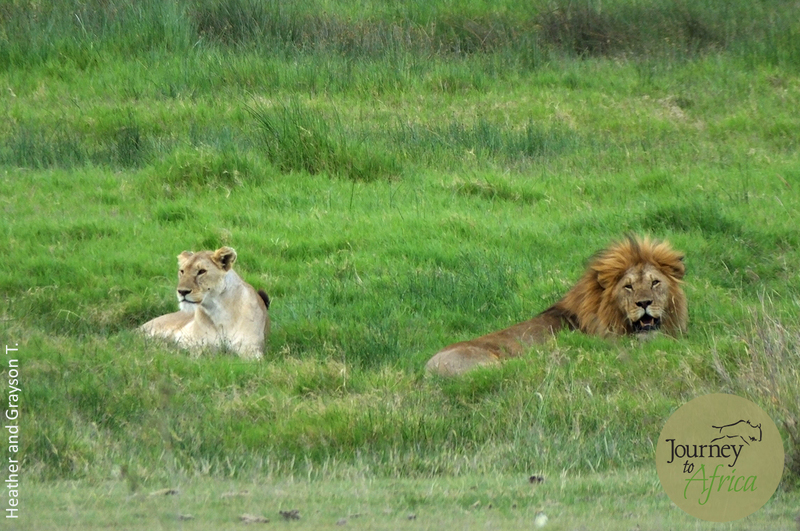 Shortly after landing at the Masai Mara on the way to Sekenani Camp, in the span of 1 hour we saw 4 of the Big Five. WOW!! We saw a large male leopard on a tree, several lions enjoying a Cape buffalo they had killed the night before, a herd of elephants, and a herd of Cape buffalo. Does not get any better than that. 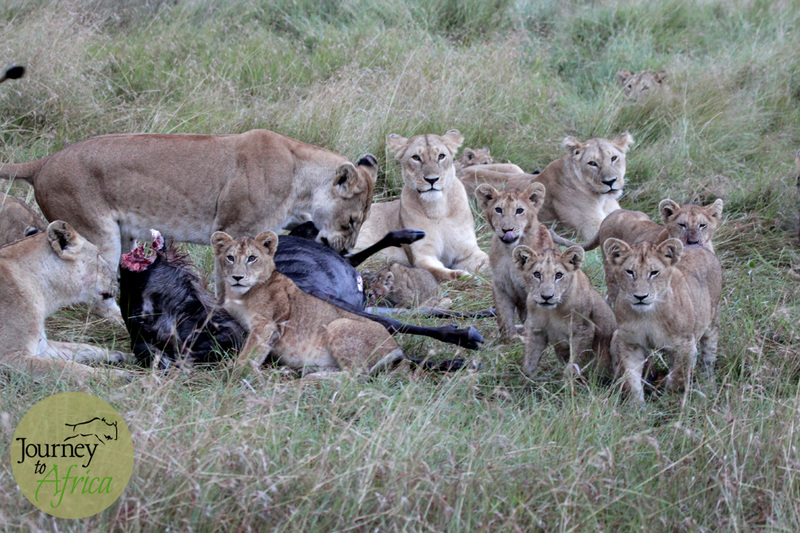 While on a game drive in the Masai Mara, we came across a large pride of lions which included several cubs. After a waiting for a while, all 4 cubs finally lined up, looked at the camera, and gave me the opportunity to take one of my favorite safari pictures. 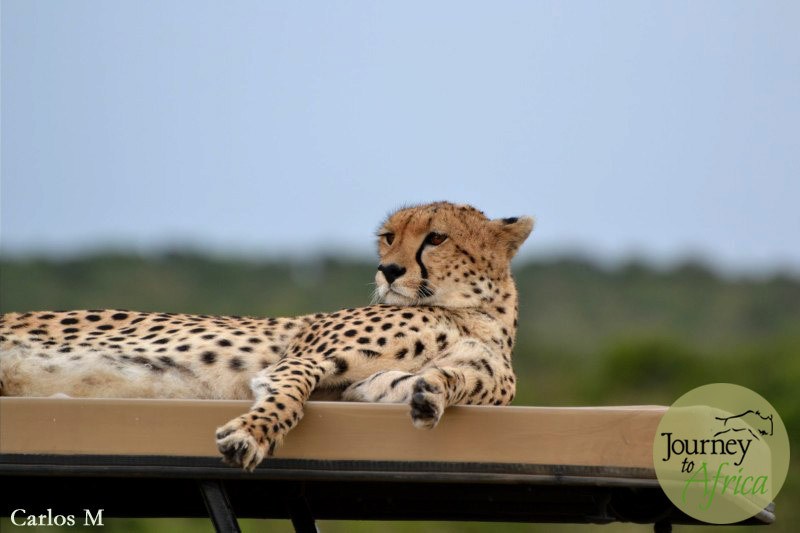 On nature shows, I have seen many cheetahs climb on a vehicle to get a better observation point for prey. Actually got to see it in person. We found 2 cheetah brothers lying under a tree. There were about 10-15 vehicles nearby. All of a sudden one of the cats jumped on the hood and onto the roof of one of the vehicles. Those of us in the other vehicles had the show of a lifetime. The occupants of the vehicle could not see a thing. We all thanked them for providing us a great show. The cheetah stayed on the roof for about 15 minutes then left. He did not even look at the occupants. Leopard on top of a Safari vehicle in Masai Mara. On the afternoon of the last day, our Masai guide in the Masai Mara asked us if there was anything else we wanted to see. I told him I wanted to see a male lion, a friend wanted to see a large herd of giraffe, and another friend wanted to see one last cheetah. Within 15 minutes, we were parked near a large male lion, 10 minutes after that a herd of 17 giraffe was in front of us, and on the way back to camp we had our cheetah. I don’t know if he could smell them, but he found them rather quickly!! While these are my top ten memories, the list would not be complete without #11. While parked on a low hill, whether at the Serengeti or the Masai Mara, I found myself looking at the expanse of savannah below, and seeing wildlife in every possible direction as far as the eye could see. This was absolutely breathtaking and indescribable. This scene was repeated over and over. Lion looking at the open savannah. What a view!